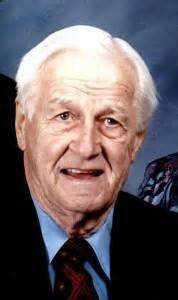 He was born on December 1, 1922, in Barberton, Ohio, as the youngest son of Michael and Julia Sekerak, Slovakian immigrants to the United States of America. He attended Barberton High School and graduated from Cleveland Bible College (now Malone University) with a Bachelor of Theology degree. As a Quaker minister, he led youth missions to Mexico, Guatemala, and the Bahamas. He had a morning radio show, ‘Sunrise Scriptures’ heard on WFAH in Alliance, Ohio. From 1963 to 1969, he served as the director of public relations at Malone University. He also established a brokerage company that served many clients for more than twenty years before retiring in 2002. He was a historian, and personally financed publications of many historical books. Mr. Sekerak introduced me to the history of the Santee Sioux Indians. At 91, his brain and tongue were ‘sharp’. He tirelessly narrated Quaker history during his multiple visits to my office. His face beamed with pride when he extolled the lives of pioneer Quakers buried in the state’s oldest Friends cemetery near his home in Damascus, Ohio. To summarize who Clarence Sekerak was, I need to borrow the following from his obituary. “Self-described as, Old Man Sekerak on the 13-acre hacienda on the outskirts of southern Damascus, and often wearing his red beret, he was a gifted storyteller whose ability to dramatize religious and historical facts made his eclectic interests appealing to many. His personal integrity, work ethic, spiritual faith, civic consciousness, generosity, and expertise on countless topics were inspirational to those blessed to know him.” He died on December 10, 2013. I am sitting in my study reading ‘Journal except by the Rev. S. D. Hinman, Missionary to the Santee Sioux Indians’ from January of 1869, a treasured gift from my friend, Clarence Sekerak. “Read and write about issues that inspire you,” he told me many times.